Here's an absolute topper of a salmon caught on the Lower Yokanga in Russia. To my knowledge it is the largest salmon reported (so far) which was caught using the excellent Monteith Speycaster Multi System Spey line. 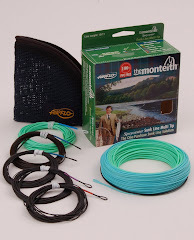 For more information on this product visit the Salmon Fishing Scotland website.